Now is the time to get your entries in for the 2018 Father-Son Team Classic! Entries began on November 13, 2017. The tournament will feature a new division in 2018, designed to include the entire family in one of the Myrtle Beach golf’s most popular events. The Father-Son Team Classic is the largest tournament of its kind in the world, with over 600+ players from 40 states and three countries flocking each year to Myrtle Beach for an event that celebrates the family bond that golf helps breed. In 2018, the event will feature the addition of the Parent-Child Team Classic. This new format will allow combinations of mothers, fathers, sons, daughters and grandparents to compete as two-person teams. The Parent-Child tournament is a separate tournament from the Father-Son, but will follow the same model. The 2018 festivities will run July 18-21, and players can register for the tournament at www.FamilyGolfWeek.com. Enter early for a fee of $995 per team and the entry fee includes three rounds of golf, lunch daily, before and after event functions, and a gift bag valued at $600. The gift bag should include: $150 tournament gift card for each player that can be used at host courses for food, merchandise and pre-tournament practice rounds. As part of the entry fee, players will also receive a polo shirt with the tournament logo, a dozen Srixon golf balls and more. If you register before January 1st, each player will receive an additional $50 on their gift card, bringing the total value to $200 per player. Both 54-hole tournaments, will be played on some of the best Myrtle Beach golf courses, such as TPC Myrtle Beach, Rivers Edge and the Fazio Course at Barefoot Resort. All of these Myrtle Beach golf courses have been ranked among America’s 100 Greatest Public Courses. 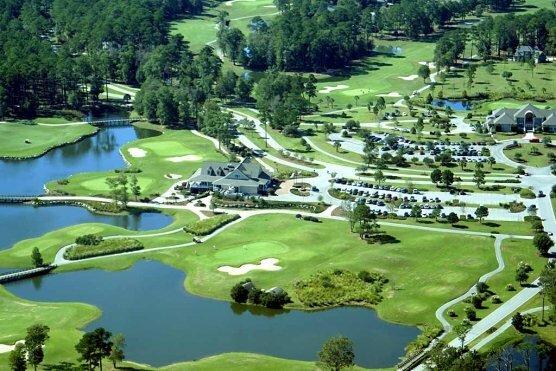 New Myrtle Beach golf courses joining the tournament rounds this year are: Crow Creek, which just installed new bentgrass greens, Legends Resort and Wachesaw Plantation East, which has played host to LPGA events 4 times. Players will need a USGA approved handicap to play in both tournaments and each day will feature a different format of play, including 2-person captain’s choice in the first round, with better ball and alternative shot in later rounds.